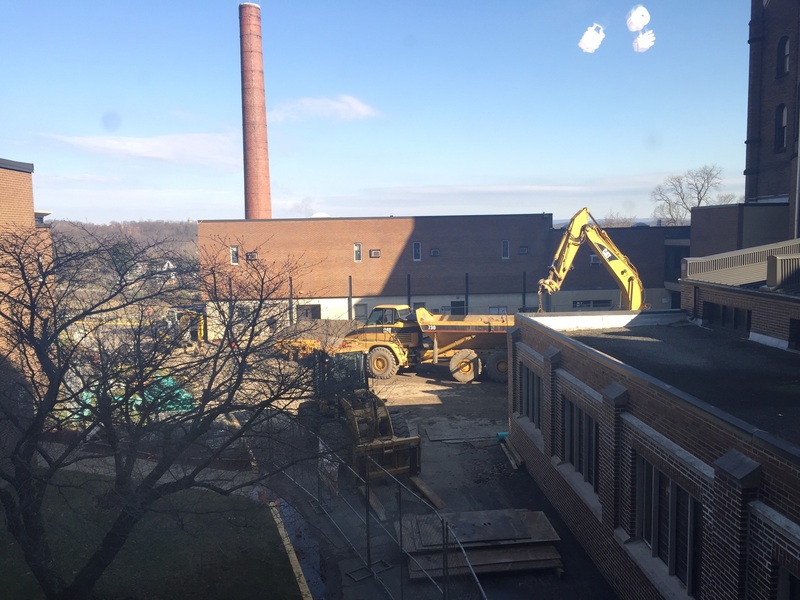 Construction is underway behind the Lowe Dining Hall. Renovations are to include an addition to the back of the dining hall where all food service lines will be located. This image was taken from the Setonian office, located on the second floor of Lowe Hall. Photo by C.Arida/Setonian. Renovations for Lowe Dining Hall are currently underway as students get back into the swing of the spring semester. Plans for renovation started in April of 2015 and are estimated to be complete for the start of the 2017 fall semester. “We’ve been doing surveys of students for what they would like to see improved on campus,” said Paul Edsall, accounting vice president for finance at Seton Hill University (SHU). The majority of the comments surrounded Lowe; it is too dark, too hot, too crowded and the food lines lack variety and take too long to get through. “We are going to remodel Lowe so that it will be quieter, it will be lighter, it will be air-conditioned and it will have more WiFi capabilities,” said Edsall. A major aspect of the renovation is to open up space, but still maintain the historical properties of Lowe. 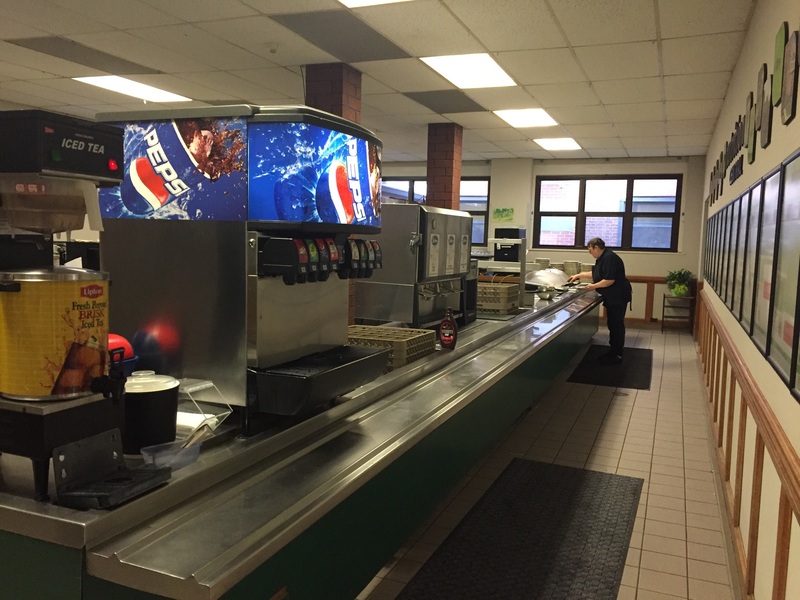 There are currently nine food service lines for students to choose from. Only two are located in this space pictured here. 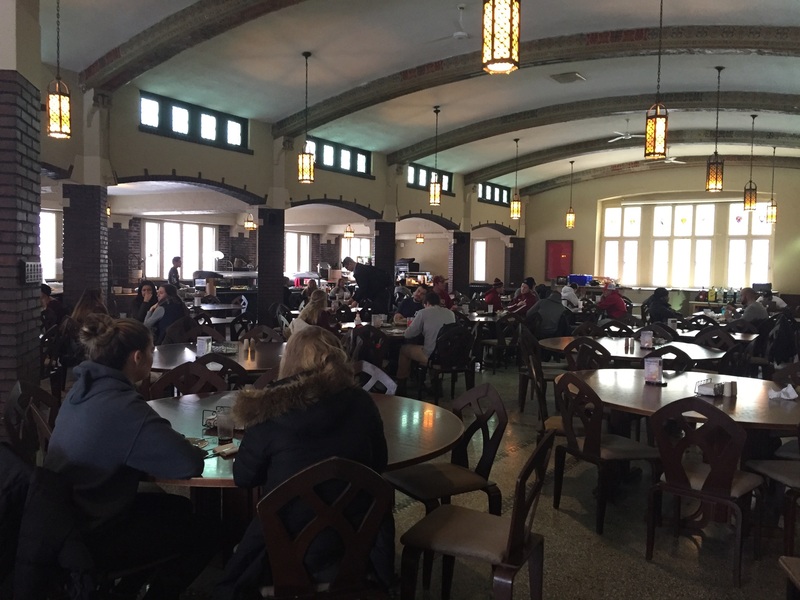 The rest are spread throughout the dining hall where students eat, causing more traffic. Renovations will include the addition of a new space for these nine food lines, as well as six new options for students. Photo by C.Arida/Setonian. Lowe Hall, the first residential building on campus, was built in 1919 and named after Mother Superior Aloysia Lowe. The name was chosen by determined women at SHU who inserted the name into an ad from the April 1920 issue of the Setonian. Since its completion, minor renovations were made to the dining hall around 1960, making this the first major renovation since its construction. In order to create more space, a major part of the renovation will be to add an expansion where all of the food service lines will be located. “We are essentially building a new servery and enhancing the dining experience,” said Achtzehn. There are currently nine food service stations to choose from; with the renovation there will be 15. The additional food lines will create more variety for students to chose from, including more health-conscience and gluten-free choices. Crowds build up quickly during lunch and dinner hours. The dining hall currently seats 319 students; with the renovation, the space will accommodate 430. Photo courtesy by C.Arida/Setonian. 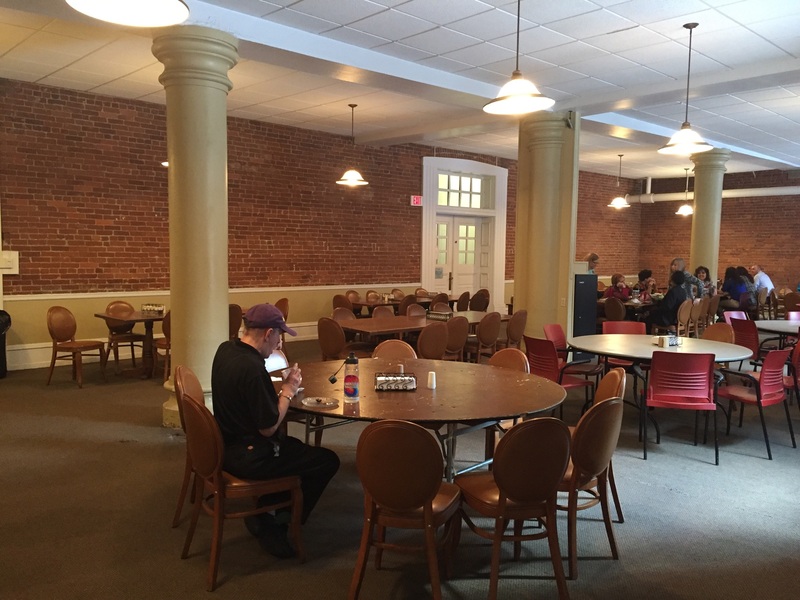 With the new renovation, the dining hall seating area will remain open for students to use 24/7. Along with this, the renovation will include the addition of a “spirit room,” which will essentially serve as another lounge space for students to eat and hang out. Other plans for the renovation include the addition of two restrooms and remodeling of the Greensburg room. The current archway between Canevin Hall and Lowe will be closed-in and turned into a foyer, which will serve as the main entrance to the dining hall. The Greensburg Room will also take part in renovations to the dining hall. Some of the space will be turned into additional seating and lounge space for students. Photo by C.Arida/Setonian. Major disruptions for day-to-day activities are not expected to play a part during the renovations. With the new policy requiring residential students to live on campus through their third year, the need for more space is a top priority. SHU is constantly looking for ways to grow and how to enhance student/campus life. There has been talk about the possibly of additional dorming being the next step, however, no official plans have been confirmed.